So, the spiffy new wi-fi thermostats want power on the C wire from thermostat, but the old thermostat doesn't have a C wire at it. 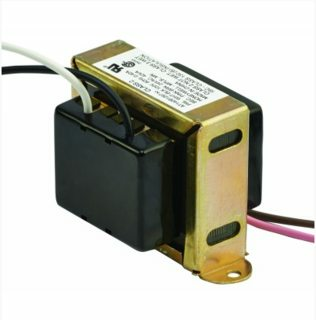 What's the easiest way to add the C wire/24 volt to the thermostat location? Lets start by explaining what the C wire is, and why it's needed. In the olden days thermostats were simple switch devices, that used Mercury Switches to complete the circuit and turn on the heat/AC. Because of this, there was no reason to run a return wire to the thermostat. For example a thermostat that only controlled heat, would only require 2 wires. Newer thermostats that offer clocks, backlit displays, WiFi, etc. are controlled using circuit boards and integrated circuits. These new circuits require a path for electricity to return to the source, and so require an extra wire. This new wire is known as the C wire, or Common wire. How do I get a C wire? If you're lucky when you upgrade to a newer thermostat that requires this connection, there will be an extra (unused) wire in the cable at the thermostat. If you're not, you'll have to run new cable to the thermostat. If you have heat and AC, you'll have to pull an 18/5 cable. If you have just heat you can get away with pulling 18/3 cable, but you may want to pull 18/5 anyway to make adding AC in the future easier. What do all these wires do anyway? There are no standards for wire color, so any wire could be used for any purpose. The most common color code would be (note: this is for forced air furnaces, heat pumps and other systems may be different). This solution is illustrated in this video from Honeywell. With this solution you lose the ability to manually turn on the blower fan, but the fan will still run properly in the Auto position. WARNING: This procedure involves modifying the wiring in the furnace, and may not be approved by every manufacturer. Check with the furnace manufacturer, and all local codes before attempting this procedure. Make sure the breaker for the furnace is OFF before you begin. Make sure the breaker for the furnace is OFF. Start by removing the access panel on the furnace, and locating the thermostat wires. Remove the wire from the G terminal, and connect it to the C terminal. Using a short piece of 18 AWG wire, make a jumper and connect it between the Y and G terminals (this is only required if you have both heat and central air). Remove the thermostat from the wall to gain access to the wiring. Turn the furnace breaker back on. A bit more about transformers and C wires. A transformer uses coils of wire, magnetism, and a bit of magic to transfer energy from the primary side of the transformer to the secondary side of the transformer. Usually during the transfer, the voltage is either increased or decreased. In the case of our furnace we're likely talking about taking 120VAC, and transforming it into 24VAC. Once the voltage has been reduced, we can use the lower voltage and a thermostat to control the furnace. Now that you know even less about transformers than you did before, lets look at a diagram. 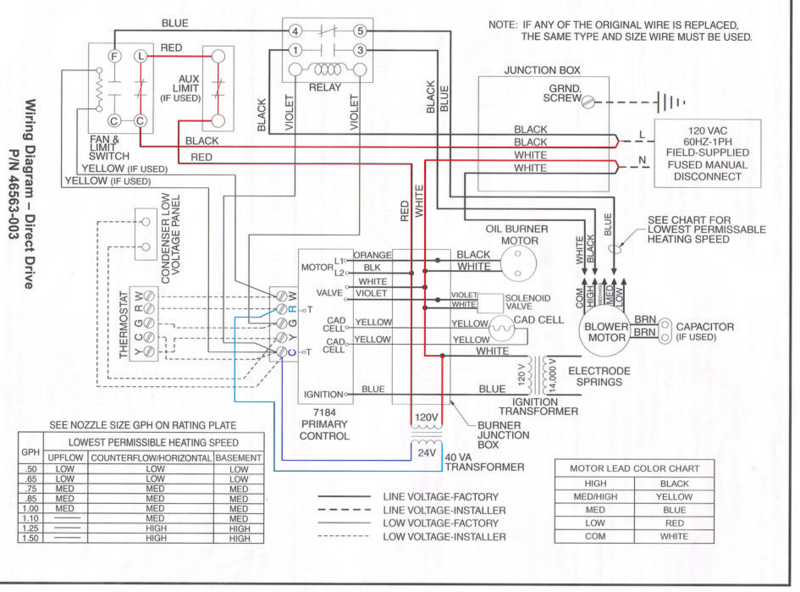 This is an actual wiring diagram from a furnace, but you'll notice I've highlighted a few things. First, in red I've highlighted the 120V primary side of the transformer. I've also highlighted the secondary side of the transformer in a couple shades of blue. This was done to illustrate that one side of the transformers secondary winding (light blue), is attached to the R or power terminal. While the other side of the secondary winding (dark blue), is attached to the C or "neutral" terminal. On a schematic or wiring diagram, a transformer will look something like this. Often you'll see a number written on each side, which denotes the expected voltages on each side of the transformer. Notice in the schematic above that the top side lists 120V (120 volts), while the bottom lists 24V (24 volts). When actually digging through HVAC equipment, a transformer will look something like this. Notice the rectangular middle section, flanked by a bulge on each side. These are the typical physical characteristics of a transformer. Transformers typically have a volt-ampere (VA) rating, which can be used to determine the amount of current that can safely flow through the transformers coil wires. To determine the maximum current, simply divide the VA value by the voltage. For example, a 120V/24V 40 VA transformer would be capable of 1.66667 amperes on the secondary. Normally this is not a problem, since the only things supplied by the transformer are switches and relays. If you install a thermostat that draws more current than the transformer can carry, you're going run into problems. So in this case, you'll have to upgrade the transformer and any fuses that protect it (since the fuses are sized based on the VA rating). 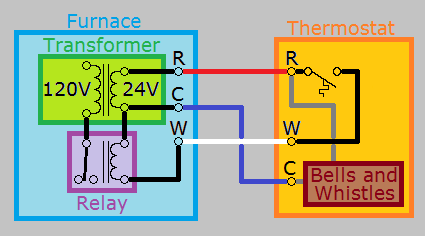 What about systems with multiple transformers? In some systems, there will be separate transformers for the heating and cooling systems. In these situations, you'll have to check with the thermostat manufacturer, to determine which system should provide the C wire. In the case of Nest and Honeywell (and probably others), their thermostats expect the C wire to come from the cooling system. When you're connecting the wires to the thermostat in these systems, you'll have to remove any jumpers between the R terminals. You'll wire the R wire from the heating system, to R or Rh, and the R wire from the cooling system, to Rc. Then you'll have to wire the C wire from the cooling system, to the C terminal of the thermostat. 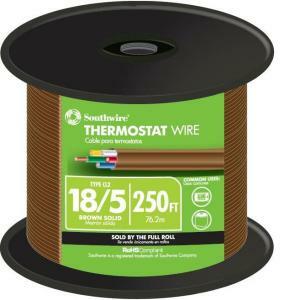 Assuming your thermostat and furnace are compatible and you're just short on conductors between them, you could use one of these add-a-wire devices. This device won't work for C wires. 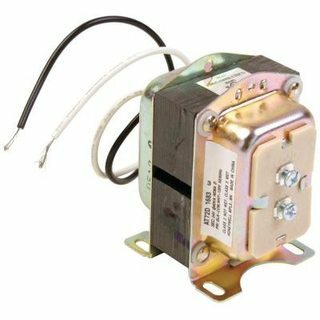 However, it does allow one to combine two of the other relay wires down to 1, freeing up a dedicated wire for C. For example, in a standard 4-wire (R/W-heat/Y-cool/G-fan) thermostat, you could combine the Y and G wires through the Add-A-Wire device, and use the freed-up wire as C directly. If your furnace has a C terminal then you can run a new wire from the C terminal to your thermostat. You can connect as many wires to the C terminal as you'd like as long as you do it in parallel (ie: all wires must terminate on the terminal itself, do not "daisy chain" them). In the case when your furnace does not have a C terminal, you can utilize an external transformer to provide the neutral line that would otherwise be provided by the C wire. 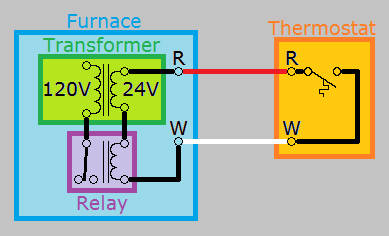 While most of the WiFi thermostats accept a range of voltages, my experience is thats best to use a 24V transformer. Make sure to verify the voltage and amperage requirements with your thermostat specs. Forget the wires. Use a wireless thermostat, placing the receiver in the basement at your furnace and the transmitter wherever you want it. The Venstar Add-A-Wireless Thermostat T1119RF might do the trick. If you musts have the wifi thermostat, put it in the basement, and add a remote sensor to the mix. The obvious answer is to run a new thermostat cable with five wires instead of trying to use jumpers etc that in the end just end up causing more troubles, like destroying a circuit board. In most cases if can be as simple as attaching a new one where the old one goes up the wall from the basement if it's open. If it's a finished basement then a little more thinking is involved. Then there's the ultimate question, would you totally trust a wireless system to control your furnace if you were away for a month? I just ran an 18/2 in addition to the 18/4. No sense in pulling out perfectly good wires. Saves some money too, and avoided disconnecting the old one. Paid $10 for 50ft of 18/2. Where do I connect a C wire in a Rheem Furnace REAB 1415J? Is it possible to use add-a-wire with my current configuration to add a C-Wire? How can I get my thermostat C wire connected? Where is my Common Wire?